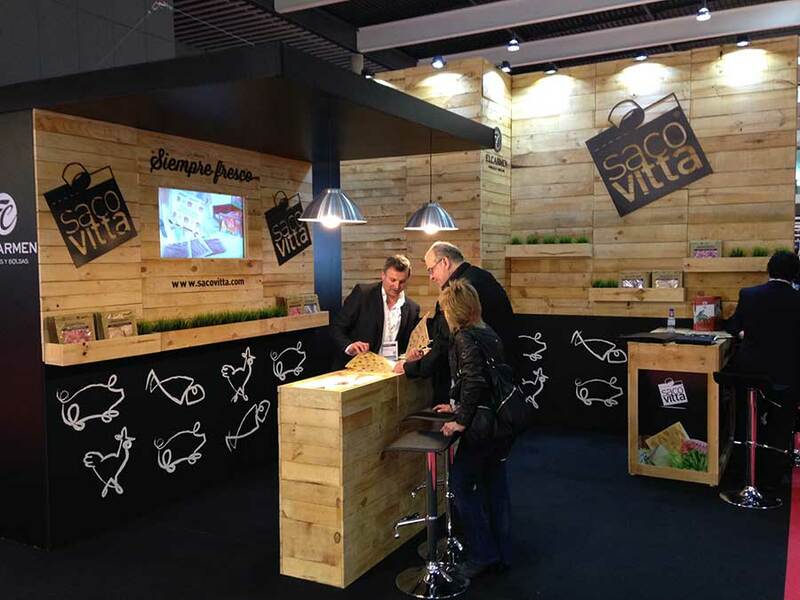 One year later, Papeles El Carmen was back at Alimentaria with a large stand, presenting its Sacovitta preservation bag for meat, fish and fresh produce: the vacuum sealed bag with resealable closure, which keeps food fresh for longer (more than 8 days). Food hygiene and safety. Preservation: extends the life of produce from butchers and delicatessens. Fish products suitable for freezing. Practical, with resealable adhesive closure, allows products to be ordered horizontally in the refrigerator. Versatile, for all types of fresh food.